Janet is committed to providing compassionate, quality care and oversees the medical needs of patients at Four Seasons. She believes in the “whole patient care” model embracing the physical, psychosocial, and spiritual needs of patients. Janet grew up in Miami, Florida. She attended Southern Methodist University in Dallas, Texas, graduating with a BS in Biology. She earned her MD degree at Southwestern University in Dallas, and completed a residency in Obstetrics-Gynecology at the University of Alabama in Birmingham. In 1985, she entered private practice in Atlanta, Georgia. She received her board certifications in both Obstetrics-Gynecology and Endoscopy Surgery. She holds additional board certifications in Hospice and Palliative Medicine and Hospice Medical Director Certification. In 2016, she completed her Masters in Business Administration at East Carolina University. In 2000, she joined Four Seasons. She was instrumental in starting the Palliative Care program in 2003, and in 2005, she founded the Clinical Research department in an attempt to bring meaningful studies to help lessen suffering to patients. Since that time, Four Seasons has conducted 45 clinical studies in advancing the evidence of care for treating people with advanced illnesses. She currently sits on the Steering Committee of the Palliative Care Research Cooperative Group and the Global Palliative Care Quality Alliance. Janet holds a consultant assistant professorship in the internal medicine department at Duke University Medical Center and is a clinical instructor in Medicine at UNC- CH Henderson Family Practice Residency Program. She is a Fellow of the American Academy of Hospice and Palliative Medicine (AAHPM), served as Treasurer of the AAHPM in 2015, and is currently President Elect. She is frequent speaker at both state and national meetings, and has co-directed the National Hospice Medical Course for several years. 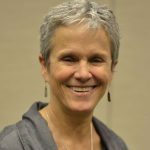 Janet has been an Associate Editor of PC-FACS since 2008, and has authored or coauthored a multitude of publications on palliative care and quality data reporting. She is Program Director of the Palliative Care Immersion Course, which has trained hundreds of clinicians across the country since 2010, and directs Four Seasons’ Center of Excellence which offers consulting services in hospice, palliative care, and research. She was the recipient of the Sharon O. Dixon Award in 2007, the Cuniff-Dixon Hastings Award in 2012, and the Josephino Magno Distinguished Physician Award in 2013. In 2014,, she was named one of the Top 25 Visionaries in the Field award by the American Academy of Hospice and Palliative Medicine. Janet enjoys spending time with her family and friends. Her hobbies are biking, wakeboarding, yoga, and pottery. Lainie is committed to addressing the emotional, spiritual, and physical aspects of an illness and to helping hospice patients and their families achieve the best quality of life. 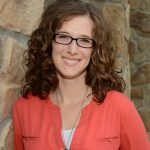 Lainie grew up in the Chicago area and then moved to Tennessee where she attended The University of the South and graduated with a BA in Comparative Religion. She spent two years volunteering with AmeriCorps before going back to school to complete her prerequisites for medical school. After graduating from Des Moines University College of Osteopathic Medicine, she went on to complete her family practice residency at Broadlawns Medical Center in Des Moines, and it was during this time that she became interested in the field of hospice and palliative medicine. She then completed the Asheville Hospice and Palliative Medicine fellowship before joining the Four Seasons team. She is board certified in family medicine, hospice and palliative medicine, and is also hospice medical director certified. Lainie and her husband have two young daughters that keep them very busy. They live in Asheville and enjoy all the wonderful outdoor opportunities the area offers. Claire joined the Four Seasons staff as a team physician in January, 2010, but has a long history of delivering hospice care in south Georgia. After finishing a residency in Family Medicine at Mercer University School of Medicine in 1988, she moved to Jesup, Georgia to work as a family physician. The southern rural HIV epidemic was just beginning, and to serve the needs of those patients she became an HIV specialist, eventually moving from private practice to public health, serving as the Clinical Coordinator for HIV Services for the Southeast Health District in Georgia. Claire graduated from Emory University with a BA in religion, and spent several years in graduate school at the University of Michigan studying Chinese. 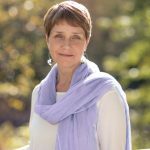 She earned her medical degree at The Medical College of Georgia in Augusta, GA. Dr. Hicks is interested in the field of Narrative Medicine and facilitates groups of colleagues, fellows and students in order to acquire skills of narrative competence, and provide a space for reflective writing. Her work with dying HIV patients, in the years before medications made HIV a chronic disease, inspired her interest in the field of hospice care. She served as medical director of Hospice of South Georgia from its inception in 1997. She was recognized for her work in HIV care with a Nightline special, Journey of a Country Doctor, in 1996, and honored as Georgia Woman of the Year in 1999. In 2015, Claire was named Physician of the Year by the NC Association for Homecare and Hospice. Claire is board certified in both Family Medicine and Hospice and Palliative Medicine. She has two daughters. A native of northeast Georgia, she is happy to be back in the mountains, and looks forward to planting flowers in mountain soil. She also looks forward to full time work in the field she loves. Jennifer has been a caring staff physician at Four Seasons’ Elizabeth House since 2004. She is deeply committed to providing the most holistic and compassionate care to patients and their families while focusing on excellence in the management of complex symptoms. Helping patients and families understand what to expect next is a crucial part of her everyday role. Jennifer grew up in Westchester County, New York. She graduated from Amherst College in western Massachusetts with degrees in biology and French language and literature. She earned her MD degree at the Johns Hopkins University School of Medicine in Baltimore, Maryland, in 1994. Moving ever southward, she completed her Family Medicine residency at the University of North Carolina in Chapel Hill, where she served as Co-Chief Resident. 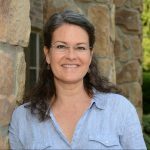 She moved to Hendersonville in 1997, joining Blue Ridge Community Health Services as a primary care physician. She then became a clinical faculty member for the Hendersonville Family Practice Residency Program for 4 years prior to joining Four Seasons. She is board certified in both Family Medicine and Hospice and Palliative Care Medicine. Jennifer and her husband keep busy at home with their two children and a menagerie of pets. She also currently serves on the board of Our Children’s Place, an innovative correctional program designed to help break the intergenerational cycle of crime, poverty, substance abuse and family violence. Dr. Kovaz has always had a strong interest in doctor/patient relationships and communication. During the many years of his practice experience, he has continued to refine and improve the quality of that relationship, which he believes is the cornerstone of healing. Dr. Kovaz graduated from Emory University in Atlanta, Georgia with both his BA and MD. He served as a clinical faculty member at the Anderson Area Medical Center Family Practice Residency Program in Anderson, South Carolina, and was in private practice in Anderson for 17 years prior to relocating to Wisconsin. At the University of Wisconsin in Madison, he served as a clinical faculty professor, a general internist and also worked in the Pain Clinic, where he gained extensive experience in managing painful disorders. Dr. Kovaz has a strong interest in psychoanalysis. 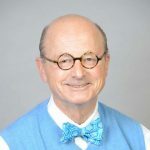 Before coming to Four Seasons, he spent 14 months in Zurich, Switzerland, where he received a certificate of continuing education from the International School of Analytical Psychology. 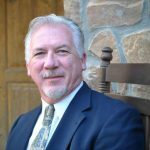 He is board certified in general internal medicine and hospice and palliative care. Dr. Kovaz enjoys reading and participates in an informal book club for the staff of Four Seasons. Pat is a hospice and palliative medicine physician who joined the Four Seasons team in 2011. For several years, Pat worked primarily with Four Seasons’ inpatient Palliative Care teams based at Pardee Hospital and Park Ridge Hospital prior to serving in her current role at Four Seasons’ inpatient hospice facility, The Elizabeth House. Pat completed her undergraduate studies at Harvard University, going on to earn her medical degree from the University of Minnesota Medical School, where she later developed an integrative medicine curriculum as part of her extensive career as a nephrologist, intensivist, and hospitalist. As a holistic and integrative physician who is trained in alternative medical interventions such as meditation, energy healing, and anthroposophic medicine, Pat is inspired to offer a broader range of therapies in the care of the soul and spirit at the end of life. 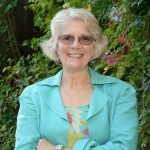 She is board certified in both internal medicine and nephrology, and has led and participated on numerous complementary and integrative medicine task forces and committees throughout her career. Pat and her husband Kerry Lindsey have two grown daughters and make their home in Flat Rock, where they have a teaching and learning community dedicated to developing technologies for the transformation of consciousness. Sara is from Tucson, AZ and a dedicated Wildcat alum. She moved to Denver for medical school and stayed for training. Sarah came to Western North Carolina for fellowship but stayed for the beautiful outdoors and mountain lifestyle. She loves the mountains, hiking, her dogs, and reading and watching cartoon movies. Sara works in hospice but also works part time in Family Medicine at Blue Ridge Community Health. In addition to that she also works with a non-profit in Peru and is very dedicated to assisting and improving rural/global and under served health care world wide. Harvey graduated in 2006 from the Physician Assistant program at the Medical University of South Carolina in Charleston with a Masters of Physician Assistant Studies. 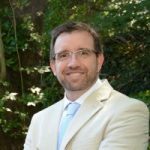 After relocating from Charlotte, NC, he worked for the orthopedic spine specialty group, Spine Carolina, Asheville, NC. There, he worked as surgical first assistant and performed histories and physicals for surgical patients in addition to patient post-op care. After this experience, Harvey decided he would like to better use the breadth of his PA training in medicine. Also, his personal experience- as a cancer survivor and his mother’s dying from ALS influenced his desire to seek a position to assist patients dealing with life-limiting illness. This decision led to Harvey joining the Four Seasons team in early 2008 as a mid-level practitioner in the Palliative Care Group. Harvey is a Fellow member of the American Academy of Physician Assistants, a member of the North Carolina Academy of Physician Assistants, and the American Academy of Hospice and Palliative Medicine. Harvey graduated from NC State University in 1986 with a Bachelors of Science in Industrial Engineering. Prior to his career as a Physician Assistant, he was previously employed in Charlotte, NC, by First Union Corporation and Duke Energy. He worked as a project manager and business consultant at both companies. 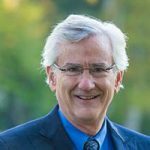 His work involved productivity improvement studies, process design, performance measurement, and strategic planning. Harvey and his wife have been married for over 25 years and have three sons. Harvey enjoys time spent with the Boy Scouts of America. All three of his sons achieved the rank of Eagle scout. He enjoys living in western NC and likes boating, snow skiing, camping, and hiking. He enjoyed performing as an actor in motion pictures, television and commercials in the past. 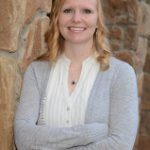 Chari completed her undergraduate studies in Social Work at Abilene Christian University before pursuing an associate’s degree in nursing at AB Technical College in Asheville. After becoming an RN, Chari spent 25 years as a nurse in home health – an extensive and rewarding career that led her to return to school to earn both a Geriatric Nurse Practitioner degree and Adult Nurse Practitioner degree from Duke University School of Nursing. Chari joined Four Seasons’ Palliative Care team in 2009, led by her ability to develop relationships and provide care to patients and their families during a vulnerable time in their lives. She has a certification as an Advanced Certified Hospice and Palliative Nurse. As the Director of the Henderson area team, Chari sees patients in homes and skilled nursing and assisted living facilities in Hendersonville and surrounding communities. Chari is married and has 3 adult children and a granddaughter. She is a member of her church’s mission committee, having a passion for mission work in Honduras. Reginald Nichols, MAC, MSN, NP-C is the Regional Director of Palliative Care serving the westernmost region of western North Carolina, including Jackson, Macon, Swain, Cherokee, Clay, and Graham counties. Reggie completed his undergraduate studies at the University of Alabama at Birmingham, where he also earned a Master of Arts in Counseling degree. After actively serving communities in Birmingham, Alabama and Rochester, Minnesota for over 10 years as a pastor, counselor, non-profit founder and leader, and musician, Reggie steered his efforts toward serving people in a clinical capacity. He returned to school to become a Registered Nurse, going on to earn his Family Nurse Practitioner Master’s degree from Vanderbilt University in Nashville, TN, where he received high honors and was a member of a small, selected group of students dedicated to developing a collaborative, interdisciplinary approach to healthcare and improving healthcare delivery systems through which he served with the Vanderbilt Palliative Care Team. Reggie joined the Four Seasons team during the summer of 2016 as Director of Four Seasons’ westernmost Palliative Care team, bringing a background of service and dedication to meeting individuals’ greatest needs during times of crisis. Reggie is most passionate about providing excellent care in our local communities wherever people call home, and wherever they may be in their healthcare journey. Reggie enjoys participating in races and triathlons, spending time outdoors, and being an outstanding husband to his wife Karlee and father to his four young children. He and his family make their home in Brevard. is a member of the Four Seasons’ Palliative Care team serving the westernmost counties of North Carolina, including Jackson, Macon, Swain, Graham, Cherokee, and Clay counties. 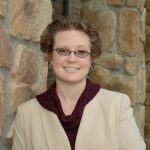 Danielle earned her Doctor of Nursing Practice degree in 2015 from Chatham University in Pittsburgh, PA, after several years of practice as a primary care practitioner. 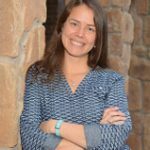 She has worked in the western North Carolina region in the fields of primary care, public health, and hospice and palliative medicine since 2012, having worked in a part time capacity for Four Seasons in the Highlands, NC area prior to joining full time in the spring of 2017. Danielle earned both a Bachelor of Science in Nursing and a Family Nurse Practitioner Master’s degree from Husson University in Bangor, Maine. 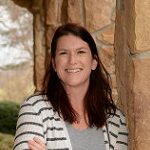 Prior to pursuing her nurse practitioner studies, Danielle worked extensively as an RN in hospice and palliative care as both a patient case manager and clinical coordinator. She is an Advanced Certified Hospice and Palliative Nurse (ACHPN). Danielle also serves as an adjunct instructor for nurse practitioner students for South University and Grand Canyon University. In her free time, Danielle enjoys spending time outdoors in the beautiful WNC mountains with her husband and son. She also enjoys knitting, traveling, and taking care of her family’s two dogs and three cats. Kristan Johnson, NP is a member of the Four Seasons Palliative Care team serving Henderson County. Kristan obtained a Bachelor of Science in Nursing degree from Eastern Kentucky University, graduating with honors. She went on to earn her Family Nurse Practitioner Master’s degree from Pittsburgh State University, also graduating with honors. Kristan’s nursing experience includes work in hospice, cardiac rehabilitation, and medical-surgical nursing. As a Family Nurse Practitioner, her past work experience was focused on musculoskeletal medicine and pain management with a focus on improving patients’ function. Kristan is Board Certified by the American Academy of Nurse Practitioners and is an active member in the North Carolina Nurses Association. Her favorite part of palliative medicine is the ability to work with patients with a focus on enhancing their quality of life. In her spare time, Kristan enjoys spending time with her husband, son, and two crazy dogs. She is also an avid yoga practitioner. 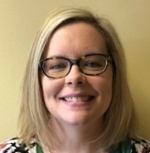 Starr Marlor, FNP-C is a member of the Four Seasons Palliative Care team serving the westernmost counties of NC, including Jackson, Macon, Swain, Graham, Cherokee, and Clay counties. Starr is a native of Asheville, NC. She earned her Family Nurse Practitioner Master’s degree from East Tennessee State University in 2016 after a six-year career as an inpatient hematology/oncology RN at Mission Hospital. Starr’s experience working directly with patients dealing with a life-limiting illness inspired her to return to school to become a Nurse Practitioner and pursue a career in Palliative Medicine. Starr joined Four Seasons in 2017 as a fulfillment of her desire to work with a multi-disciplinary team to provide support and guidance to individuals diagnosed with chronic, life-limiting illness and their families. Starr enjoys helping patients and families navigate the complex medical system. Starr and her husband David have two dogs, Lucy and Abby, who they enjoy spoiling. In her free time, Starr enjoys reading, traveling (especially to the Caribbean), and spending quality time with friends and family. 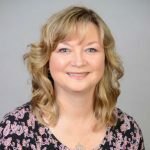 Danette Brinkley, FNP-C is a member of Four Seasons’ Palliative Care team serving the westernmost region of North Carolina, including Jackson, Macon, Swain, Cherokee, Clay, and Graham counties. Danette completed her undergraduate studies at the University of North Carolina at Chapel Hill. After graduating, she immediately returned to school at Western Carolina University to earn a Bachelor of Science in Nursing degree, which led her to an extensive career as a Registered Nurse at Mission Hospital. After 17 years as an RN serving in multiple areas of discipline, including maternal/fetal medicine, prenatal education, and adult medical/surgical care, Danette returned to WCU to earn her Family Nurse Practitioner Master’s degree. 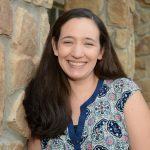 As a Nurse Practitioner, she has practiced primary care with Mission Medical Associates in Transylvania County, with a focus on providing outstanding primary care to the community. Danette brings a wealth of knowledge and expertise to her position with Four Seasons in providing comprehensive and timely care to those dealing with a life-limiting illness. Danette and her husband live in Brevard and have a son in college and a daughter finishing high school. In her spare time, Danette enjoys hiking, reading, cooking, and travel. Rebecca is a member of the Four Seasons’ Palliative Care team serving Buncombe and Haywood counties. 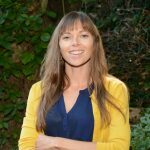 Rebecca is passionate about integrative and preventative medicine, palliative care, and educating the community about qualify of life and end of life care. Rebecca earned her Master of Science in Family Nurse Practitioner studies from Western Carolina University in 2013. She practiced internal medicine in the skilled nursing facility setting for three years prior to joining Four Seasons early in 2017. A native of Charleston, SC, Rebecca has lived in the Asheville area off and on since 2000. 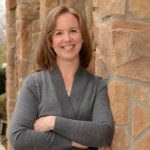 Prior to becoming a nurse practitioner, she earned a Bachelor of Arts in Communications from UNC Asheville and a Bachelor of Science in Nursing from UNC Chapel Hill. Rebecca is a mom to five children, including a set of twins. In her free time, she enjoys paddle boarding, traveling, and writing. Kathryn Sabo, NP-C is a member of Four Seasons’ Palliative Care team serving Henderson, Transylvania, and Polk counties. Kathryn earned a Bachelor of Arts degree in Sociology and Psychology from Illinois College prior to pursuing nursing studies at Asheville-Buncombe Technical College and the University of North Carolina at Charlotte, where she earned a Bachelor of Science in Nursing degree. After working as a Registered Nurse in the field of oncology for several years at Mission Health, Kathryn returned to school to earn her Family Nurse Practitioner Master’s degree from East Tennessee State University. Kathryn pursued a career in Palliative Care because she values a holistic approach to healthcare. Her favorite thing about practicing palliative medicine is meeting with patients in their home, and discussing what is most important to them and what can be done to ensure they have the best quality of life possible. A native of Springfield, Illinois, Kathryn has lived in Asheville for over 10 years. She and her husband have two young sons. As a family, they love to travel to visit family and friends and take their bloodhound Daisy for walks at all of the parks around town. Allison Dimond, NP-C is a member of Four Seasons’ Palliative Care team serving Buncombe and Haywood counties. Allison completed her undergraduate studies at Wesleyan University in Middletown, Connecticut prior to a 9-year career at Harvard University as a research and staff assistant in multiple disciplines, including public health. Allison later returned to school to earn a Bachelor of Science in Nursing degree from the University of Massachusetts at Amherst. After working as a hospice nurse for several years, Allison decided to further her passion for healthcare by earned her Family Nurse Practitioner Master’s degree from the University of Massachusetts at Lowell. Allison brought her extensive background and expertise to Four Seasons in 2016. Throughout her academic and nursing career, Allison also pursued a love for and study of Chinese herbal medicine and acupuncture. She owned a private practice in which she practiced as an acupuncturist and herbalist in Cambridge, Massachusetts for 12 years. In her current role as a Palliative Care Nurse Practitioner, Allison most enjoys helping families navigate challenging transitions. She graduated from the James Madison University Physician Assistant program in 2013. After graduation, as a member of the National Health Service Corps, she worked in primary care at an FQHC in Flint, Michigan for 3 years. She joined Four Seasons as a palliative care PA in June 2017. Kristen is passionate about quality end of life care. She loves walking alongside patients and their families through serious illness, and empowering them to make health care choices that will help achieve their goals and improve quality of life. Kristen is originally from Michigan, and graduated from the University of Michigan with a Bachelor of Science in Kinesiology in 2008. She loves to cook and finds happiness in sharing food with others. Her absolute favorite hobby is scuba diving. Her other interests include fitness, yoga, dance, pottery and hiking. Dr. Elizabeth Burpee is originally from Jacksonville, FL. She completed her BA in History from the University of Colorado in Boulder. She then travelled in Latin America and Africa engaged in several volunteer projects. Upon return to the United States she moved to Boston where she worked in a large homeless shelter. It was through that work that she decided she wanted to become a doctor in order to serve underserved communities in a tangible way. 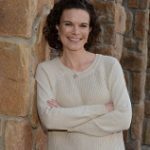 She attended medical school and completed residency at the University of New Mexico in Albuquerque, and is now board certified in Internal Medicine. In 2016 she completed her fellowship in Hospice and Palliative Medicine at the UNC/MAHEC program in Asheville, NC. She now works for Four Seasons as both a hospice and palliative care physician and as a member of the research department. She is currently the project director for Four Seasons “Project ECHO to Expand Palliative Care in the Carolinas”. Outside of work she most enjoys volunteer travel with her family, gardening, listening to music and spending time outside with friends and family. Connie is a Palliative Care Physician with Four Seasons. She grew up in New Zealand and returned to the US to get her undergraduate degree at Dartmouth College. Upon completion she then attended Medical School at the UNC school of Medicine. She completed her Family Medicine residency in Charlotte, NC and then worked as Family Medicine MD in various settings which included but were not limited to a small practice in Sanford NC, then HMO in Northern CA, followed by a 2 physician primary care practice in Asheville for 15 yrs. After that time, Connie decided it was time for a change and wanted to dedicate her focus to providing “person centered care” for the seriously ill so she completed a Fellowship in Hospice and Palliative Medicine in 2014. “In my fourth year with Four Seasons, I am now working mostly in the outpatient Palliative care setting, seeing people in facilities, homes, clinic, and also covering Hospital Palliative Care, I feel in tune with the patients and families we were honored to care for and truly feel we make a difference in the community I both live and work in”. Connie is excited to see the field of Palliative Care medicine expanding, and has found her passion in helping to support patients and families in their journey. She describes providing palliative care as being the “extra layer of support” when families need us most. Connie is married and has 2 kids in college. Both her children are members of their university Crew team and learning a lot about rowing, what it means to be part of a team and how to endure hard work! Connie enjoys hiking, backpacking, and a hot cup of Starbucks coffee! Emily went to St. Andrews College in Laurinburg, NC, followed by a year of laboratory research in Cystic Fibrosis at UNC. She then attended ECU School of Medicine and Spartanburg Regional Medical Center Family Medicine Residency. Emily has two beautiful & energetic sons and enjoys reading, running, and hiking/camping. She came into Palliative Care after working in Primary Care for 9 years and seeing the huge difference Palliative Care makes in the quality of life of patients and families living with chronic diseases. Emily treasures the time that she can spend with patients in Palliative Care and is proud to be part of the Four Seasons family. Carmen serves palliative care patients in Buncombe and Haywood counties. She is a passionate advocate for education about end of life care. Prior to joining Four Seasons in 2018, Carmen worked for four years in hospice nursing along the Texas-Mexico border and in Asheville. 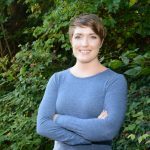 Carmen moved from Pennsylvania to Asheville in 2005 to pursue herbal medicine studies. This work ignited an interest in clinical practice leading to her initial nursing certification from Asheville Buncombe Technical Community College in 2010. She went on to complete a Bachelor of Science in Nursing degree from the University of Texas at Arlington in 2015. In 2017, she completed her graduate education from Frontier Nursing University in Kentucky earning a Masters of Science in Nursing. Her approach to palliative care focuses on education, comfort, and dignity. She considers it a privilege to provide emotional and physical support to ill patients and their families. Carmen brings joy and a sense of universal purpose to her work by drawing on her experiences interacting with nature and from perspective gained from traveling the world. Katie is a member of the Four Seasons’ Palliative Care team serving Henderson County. She is a native of Colorado and recently moved to the Asheville area with her husband and baby boy. Katie received her Bachelor of Science in Nursing from Oklahoma Baptist University in 2011. Prior to becoming a nurse practitioner, she worked as a registered nurse in a step down intensive care unit, an emergency department, and hospice. After working in hospice as a nurse, Katie enjoyed serving the patients and families immensely and returned to school to become a family nurse practitioner. In 2017, she earned her Masters of Science in Nursing at the University of Tampa. She is passionate about educating others concerning palliative and end of life care. Her goal is to provide extraordinary care to patients and families at one of the most difficult times in their lives and to assist in fulfilling their wishes and goals. Katie is excited to be part of the Four Seasons’ team and to live in Asheville. In her free time, she enjoys reading, traveling, gardening, and watching and playing various sports. Sonia Ferrandiz, AGACNP-BC is a member of the Four Seasons Palliative Care Team serving inpatient palliative care and hospice at Pardee and Park Ridge hospitals. Sonia is a native of the San Francisco Bay Area. She received her Bachelor of Arts in Nature and Culture at UC Davis, and became interested in healthcare as an EMT. She later earned her Master’s in Nursing at Vanderbilt University in Nashville, TN, with a focus on critical care. 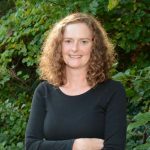 She has worked as a Hospitalist Nurse Practitioner since 2014, currently at Transylvania Regional Hospital, in Brevard, NC. These experiences in critical care have helped her understand the dire need for palliative care services, particularly for hospitalized patients. Her passions include helping patients and families navigate the complex decisions involved with treating acute illness. She also specializes in symptom management at the end of life. 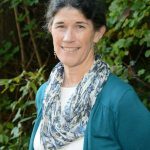 Sonia lives in West Asheville and enjoys seeing live music, whitewater paddling, and hiking with her Australian Shepherd. Jamie is a member of the Four Seasons’ Palliative Care team serving the westernmost counties of North Carolina, including Jackson, Macon, Swain, Graham, Cherokee, and Clay counties. 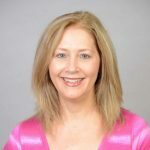 Jamie earned her Doctor of Nursing Practice degree in 2018 with a concentration in Adult Gerontological Nurse Practitioner from East Carolina University in Greenville NC. Her graduate research project was focused on nonpharmacological interventions for behavior management in dementia and was performed in a long-term care facility in WNC. 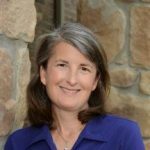 Prior to joining Fours Seasons WNC team in March of 2019, she worked in Haywood County has a Hospice Nurse Practitioner. Jamie earned her Bachelor of Science in Nursing degree from East Carolina University in Greenville, NC in 2012. Prior to completing her doctorate, Jamie worked as an RN in hospice and palliative care in home, facility, and inpatient settings. She is passionate about caring for older adults with chronic illnesses who may or may not be approaching end-of-life. Jamie moved to Western NC in 2017, as a transplant from Eastern NC, with her husband and dogs. She loves the mountains and the people of Western NC. When she isn’t working, she can be found hiking with her husband and dogs or curled up with a good book.